Nominated for 2 Golden Globes! 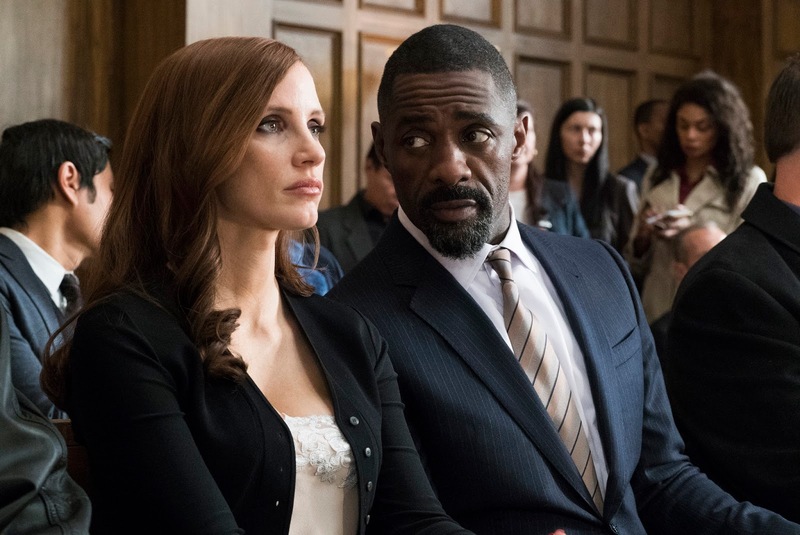 Jessica Chastain & Idris Elba are electric together! It was good. Even very good. 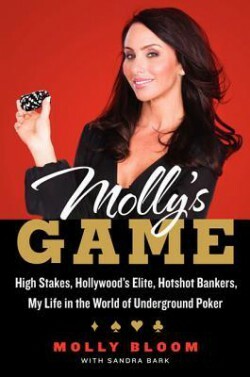 I’ve been looking forward to Molly’s Game so when it came in the mail, a screener sent from the studio, I could hardly wait to pop it in the DVD player. I’m a fan of the work of both actors; I fell head over heels in love with Idris work watching him in the British series Luther. The feeling was cemented by bingeing The Wire. And Jessica Chastain is always incredible, from Zero Dark Thirty to this year’s The Zookeeper’s Wife, even when the material disappoints, she never does. While I try to avoid reading reviews before seeing a movie, I couldn’t escape the sense that gifted writer Aaron Sorkin was an equally gifted director in his feature film debut. 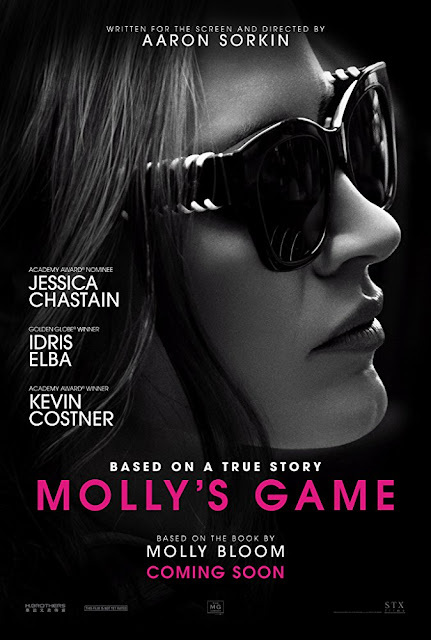 What was true for me is that the movie carries Sorkin’s trademark smart and snappy dialogue, along with the use of voice over as Molly Bloom (Chastain) tells her story. A technique used in Social Network which he also scripted, with David Fincher directing. In this film, as in Social Network, the opening moments were so crackling it was imperative you pay attention to keep up. The subject is Molly, the real life former Olympian skiing hopeful whose career hopes are dashed after an accident. Determined to escape from the shadow of her successful brothers and the expectations of her father she moves to Hollywood where she takes a crappy assistant job, lousy pay and all. Part of the gig is to set up what are initially legal, but incredibly high stakes, poker games. If you play poker, you know the lingo used in the film, you know about the flop, and the river, the full houses, the three of a kind. You know what beats what. It doesn’t really matter that much if you don’t understand it, the key is how do you feel about the players. Unnamed show biz types and big money men who think nothing of putting in ten grand to play a game of cards and who come back week after week. Men who think nothing of giving Molly big thousand dollar tips. Naturally, Molly enjoys the things money can buy and when her boss decides the tips ought to be enough, that she should continue to work her regular job AND set up the poker games Molly doesn’t quit and look for another job. Molly decides to take matters into her own hands. Set up a high stakes game of her own. For me, that’s the turn. She’s slick and smart as she goes for higher and higher stakes with a clientele that is nothing short of questionable. Russian mobsters. Crooks. Chastain, as usual, is brilliant as that kind of strong, determined, in-charge woman. When she’s inevitably busted, Idris Elba, as her lawyer, tries to get her to name names and save herself but she refuses. I should give Bloom points for integrity, instead it feels like the old honor among thieves idea. That’s the thing, with the exception of Elba, whose lawyerly character is doing his best to parent his daughter, I wasn’t invested in spending a huge amount of time with these characters. I didn’t find a lot to counter the unsavoriness of the situation. Maybe it was the distance created by the voice over, maybe it was just me as the movie is—as noted above—receiving tremendous accolades. At the end of the game, the difference between a Straight Flush and a Royal Flush. Molly’s Game, in theaters on Christmas Day also features Kevin Costner as Molly’s Father, Chris O’Dowd as one the regulars and a particularly phlegmatic Michael Cera as an un-named famous actor.